LEITAT is a Spanish Technological Center and non-profit organization specialized in production technologies.LEITAT develops R&D activities in the areas of biomedicine, biotechnologies, environment, surface treatments, material science, nanotechnology and renewable energies with deep knowledge and experience in technological transfers to several industrial sectors. Furthermore, LEITAT can provide a full range of services the different industrial sectors going from material design, testing and processing, to the development of prototypes. In particular, the several testing departments at LEITAT offer services for the determination of more than 800 physical and chemical parameters (including ISO Certification and Normalization). 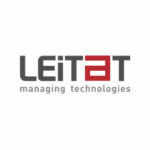 Additionally, LEITAT takes part each year in many projects financed by the regional and national governments, participates in projects co-funded by the European Commission, and develops privateR&D projects funded by industrial partners. The Department of Physical Chemistry of Polymers, Max-Planck-Institute for Polymer Research ( MPIP), Germany. 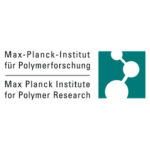 MPIP is part of the Max-Planck Society(MPG). The research institutes of the MPG perform basic research in the interest of the general public in the natural sciences, life sciences, social sciences, and the humanities. The MPIPfocuses on fundamental aspects of polymer and material chemistry and physics. On the average, at any given time, 440 persons work in the MPIP: 110 permanent scientists, up to 150 international visiting scientists, graduate students working towards a Ph.D. in chemistry or physics and undergraduate students. Technical (121) and administration staff (25). 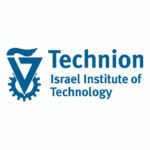 The TECHNION is the oldest university in Israel and also the leading technical university in the country.The TECHNION-Israel Institute of Technology is Israel’s primary technological university and the country’s largest center of basic and applied research. It is ranked among the leading technological universities in the world. The TECHNION has earned three Nobel prizes and has a worldwide reputation for its pioneering work in electronics, information technology, aerospace technologies, nano(bio)technology, materials engineering, etc. 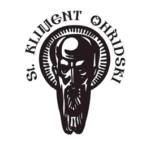 Sofia University “Saint Kliment Ohridski” (UNISOFIA) is the oldest institution of university education in Bulgaria. Today UNISOFIA is the largest university in the country with 88 degree programmes offered by 16 faculties. The Faculty of Physics hosts 46 doctoral candidates, about 20 postdoctoral fellows and 76 permanent members of academic staff. The Organic Optoelectronics Laboratory poses pronounced background at the field of annihilation photon energy upconversion, both syntheses of active dyes and device preparation, http://optics.phys.uni-sofia.bg/en/staff/stanislav/Group.html. The group currently consists of 2 post-doctoral researcher and 4 PhD students. The Biomedical Research Centre of La Rioja (CIBIR) was created on the initiative of the Government of the Autonomous Community of La Rioja, working through its Department of Health. 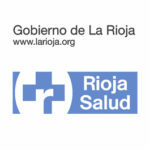 Conceived as a permanent structure for the promotion of research in the field of Health Sciences in La Rioja, the Rioja Health Foundation (FRS) is the entity responsible for the management and coordination of the CIBIR. The CIBIR constitutes a state-of the art center that focuses his research in four different Areas: Molecular Microbiology-Antimicrobial Resistance, Infectious Diseases (two specific groups in vector-related diseases and pathologies associated to HIV), Oncology (three different groups) and Neurodegerative Diseases. These groups perform their research projects in the field of genomic, proteomic, transcriptomic and metabolomics applied to their specific fields. The CIBIR has Technological Platforms of Genomic, Bioinformatics andBioetics and specific Services of Animal Facilities, and Biosecurity-Quality to support all the research groups. In addition, CIBIR hosts the Ethical Committee of Biomedical Research of La Rioja (CEICLAR). The host center has special collaborativeagreements with the Hospital San Pedro (La Rioja) and with the University of La Rioja (UR), which facilitates the collaborative and translational research of the three regional institutions, and greatly amplifies the possibilities for sharing of equipment, research and future career opportunities. The CIBIR is a building of modern construction, inaugurated in April 2007, with a total constructed surface area of 12,137 m2, of which more than 4,000 m2 are devoted to research. The facilities of CIBIR are vital foresearch advances in the field of genomics, proteomics, and transcriptomics. FUNDITEC is a Research and Technology Development Centre committed to innovation and competitiveness of entrepreneurial customers. 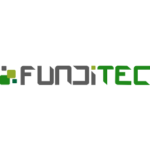 FUNDITEC provides companies with the necessary resources to develop leading edge solutions in materials science, simulation and computing applied methods, microelectronics and process engineering. FUNDITEC has a matched experience on the management and development of European and National R&D projects. The successful management of the research and technical team is backed by a track record of more than 60 research projects delivered at an International scale. FUNDITEC has a staff of 8 employees many of them PhD. 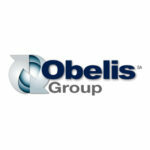 Obelis European Authorized Representative Center (OEARC) based in Brussels, Belgium since 1988 is oneof the largest Regulatory Centers in Europe, assisting non-European and European medical device, In-Vitro Diagnostic medical devices and cosmetic manufacturers’ successful endeavors into Europe. 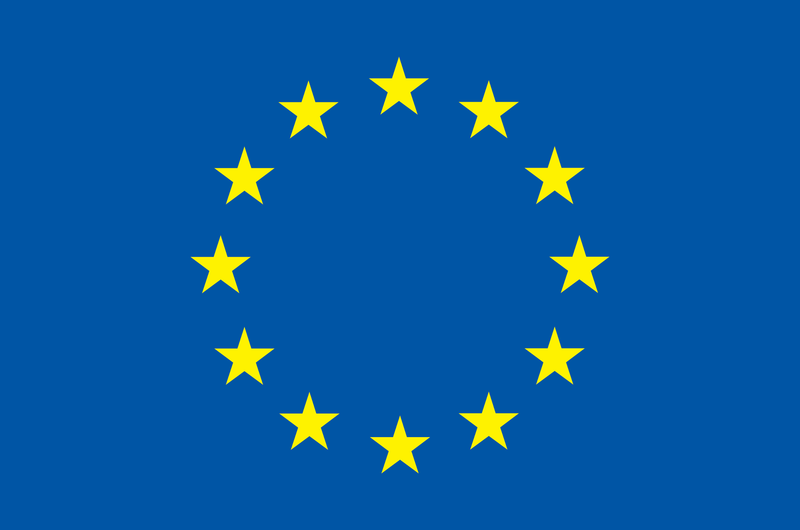 Obelis’(ISO Certified and member of various EU Associations) services include: European AuthorizedRepresentative, CE Marking consulting, EU Harmonized Standards Identification, Post MarketSurveillance, Free Sales Certificate, Global Medical Device Nomenclature Code Research, DeviceRegistration, Trade Mark Submission, and more. 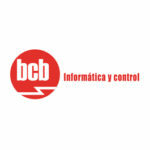 We are a Spanish technological engineering SME founded in Madrid in 1996. From our very creation, we have offered our customers exact solutions to their specific problems using very customized designs, obviously not existing in the market. We are specialized in system integration in the fields of communications, automatic test equipment (ATEs), machine vision, industrial automation, instrumentation and data acquisition systems. Focusing on electronic systems, we are specialized in IT (mainly multimedia systems) and in automotive industries (CAN/ LIN buses, clusters, multimedia, durability tests, etc.). Our international vocation is clear. We have developed a multitude of projects providing innovative products and solutions that ensure the use of the most modern technologies. Notably, our activities span over Europe (Germany, UK, France, Portugal, Italy, Norway, Romania, and Hungary) and Latin America (Mexico, mainly). We established a subsidiary in Mexico in 2012, with the aim of offering solutions and services to clients of the automotive industry, based on the extensive experience gained for over 10 years in the automobile sector. We also focus on the aeronautic sector, which is currently thriving in Mexico, as we can offer large experience in automatic testing and laboratory equipment. KIM helps companies, research centres, investors and public administrations to improve the return on their R&D investments. It is member of The Knowledge Agents Alliance, together with MRI International and Knowledge Investors (KI). KIM is a reference entity in innovation, knowledge transfer and implementation of scientific technological structures worldwide, whose mission is to improve the competitiveness and the technological progress of companies through specialized services, positioning and consolidating a knowledge transfer model at global level. KIM has developed a portfolio of services focused on satisfying the needs of all actors in the innovation system of the regions in which it operates, from science and technology parks, companies and business associations, to universities, research centres, including public institutions and public administrations. The aim of KIM and its network of collaborators is to cover all phases of the value chain of implementation of dynamization models on innovation, internationalization, infrastructures, business growth and technology and knowledge transfer. 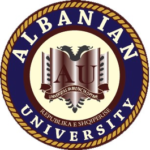 Albanian University (AU) was established in 2004 and consists of three faculties: Faculty of Medical Sciences; Faculty of Applied and Economics Sciences; Faculty of Social Sciences. For the academic year 2017 – 2018 the number of enrolled students is 6,841; while the total number of enrolled students in Albanian University since its establishment is 12,800. Currently, there are 205 full time professors and 186 part time professors engaged in AU are 205, equipped with the highest Academic ranks. The mission of AU is to develop and expand knowledge dimensions through better education, intellectual, social and cultural growth of students, contributing to the advancement of community with the aspiration of providing an intellectual environment that encourages critical and creative thinking, as well as institutional and academic values, principles and ethics. AU Center is an NGO established by Albanian University in 2013 to highlight and enrich project research expertise and management. AU Center consist of one crucial entity: Engineering and Tech Entrepreneurship Center. Engineering and Tech Entrepreneurship Center (ETEC), is an AU Center division, established in 2017, aims at encouraging students and young professionals studying at AU, but not only, in identifying and implementing new ideas in engineering and information technology. This center offers incubation and acceleration services for start-up businesses in particular in engineering and ICT disciplines.